Custom dog painting commissioned as a memorial portrait. 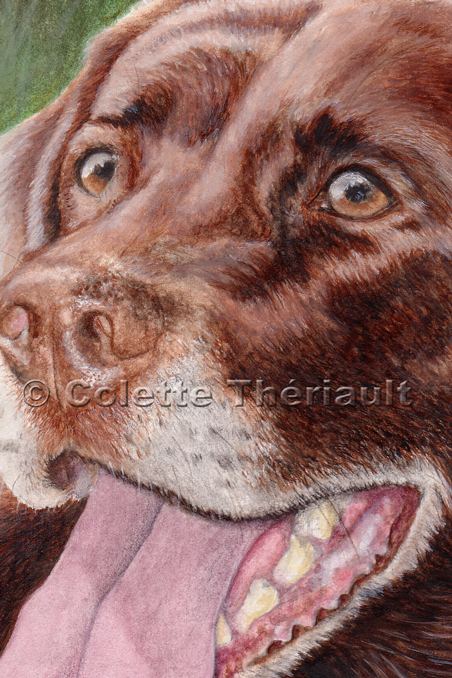 Several photographs were used as reference to accurately capture Cookie's true coat color. 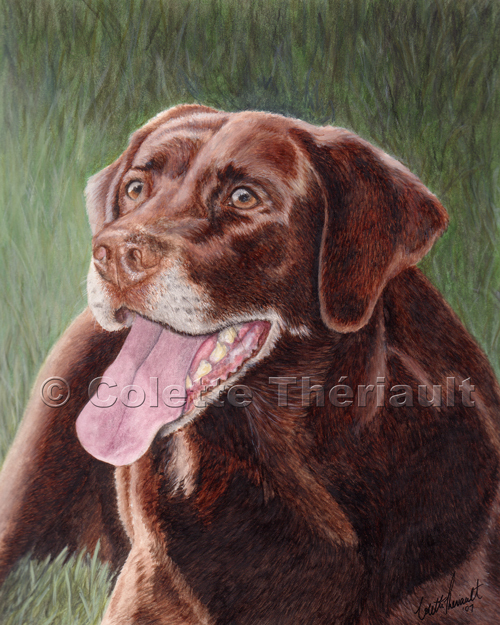 Client's comments: Ma�am, thank you so much for your care and loving touch you put into Cookie�s portrait. It was hard to watch your progress over internet as each update reminded us how much we missed her. 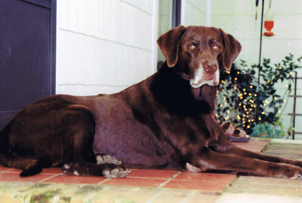 She was a loyal and loving friend for 14 years to our family. She was kind to everyone and exceptionally thoughtful to children and guests. You captured the glimmer in her eye that was always offered to friends and strangers alike. 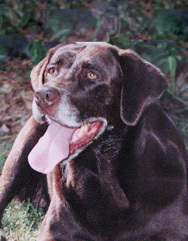 We will always have a hole in our hearts for her, but your portrait is a reminder that she is still with us in spirit. -Scot G.